Dataforth's MAQ20-DODC20SK module has been chosen as a Finalist in the Hardware - Data Acquisition category in Control Engineering's 2018 Engineers' Choice Awards program. Winners and Honorable Mentions will be announced online on February 8, 2018, and in the February print issue of Control Engineering. Cavium will demonstrate the company's newest enterprise connectivity solutions at Dell EMC World 2017 from May 8th - 11th in Las Vegas at the Venetian Expo Center, in Booth 491. Cavium will showcase innovative solutions for private and public cloud infrastructure and scale out applications at OpenStack 2017. W. L. Gore & Associates, Inc. (Gore) will exhibit new and proven products from GORE(r) Cables and Materials at IDEF'17 in Istanbul, Turkey, May 9-12, in Hall 5, Booth 501 -- the largest defence industry fair in the Eurasia region. 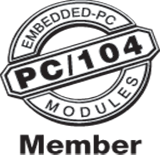 AcroPack I/O mezzanine modules and carriers for PCIe or VPX systems provide a cost-effective solution for a creating application specific customization. ARBOR Technology, a leading provider of embedded computing solutions, is proud to announce that four of its state-of-the-art products that were honored with "Taiwan Excellence Award 2017" for the consecutive year. Bright Computing, the leading provider of vendor-independent cluster and cloud management software, announces it will be exhibiting at Supercomputing 2016 Exhibition and Conference, which takes place November 13-18, 2016, at the Salt Palace Convention Center, in Salt Lake City, Utah. Visit Booth #3417 to see how Bright Computing makes it easy to manage Linux-clustered infrastructure for high performance computing, big data analytics, deep learning, and private cloud.